St Maarten creates the perfect atmosphere for couples in love to come together for a wedding celebration or romantic honeymoon. Each year, couples interested in getting married on the island send inquiries seeking information on working with the best wedding planners and learning about the legalities of getting married on the island. St Maarten has many professional wedding planners & destination management companies who are readily available to take care of all your Caribbean destination wedding details, so that the bride and groom can truly relax and indulge in their moment of romance in St Maarten. St Maarten has many unique beaches with gorgeous landscapes, while gourmet dining and touches of pure luxury offer newlyweds everything they could want in a destination wedding, and a truly unique Caribbean honeymoon. Whether you choose to tie the knot at one of the 37 beaches on St Maarten or during a private sunset cruise aboard a luxurious catamaran, getting married in St Maarten is a travel experience of a lifetime. In order to have your civil ceremony in St Maarten, the following documents need to be submitted weeks prior to your chosen wedding date. Notarized original documents must be submitted to the island Registrar with your request and must include a full abridged birth certificate to prove the legality of the same. Documents must include an "Apostille" stamp. In the US, the "Apostille Stamp" can be obtained at the Secretary of State's office while in Canada, the Minister of Foreign Affairs and the Dutch Consulate can legalize these documents.Documents not in Dutch or English must be translated to Dutch. The price for contracting a marriage will be a minimum of $178 - $410. Prices are subject to change. 6 witnesses if the marriage is performed outside of the Marriage Hall. Non-Dutch witnesses must present a valid passport or a birth certificate with a picture I.D. 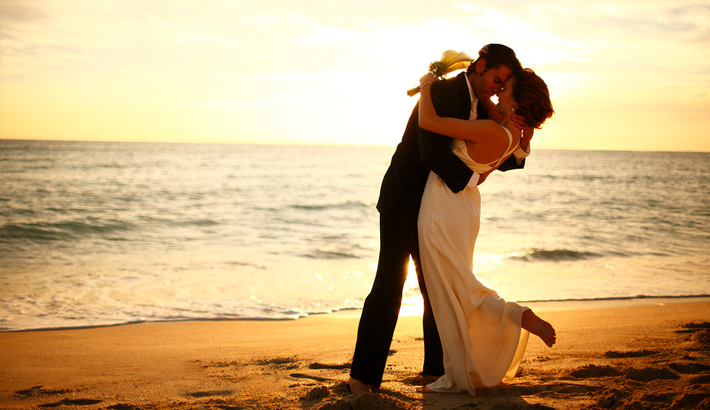 Contact one of our recommended wedding planners today, and say "I Do" in paradise! Known for planning beautiful, detail-rich weddings, our team bring a practical and detailed approach to wedding planning to style-savvy couples looking for a special destination wedding. We look forward to celebrating with you, whether it be an intimate occasion, luxury wedding or something in between. You are engaged and have decided to plan your wedding on our tropical paradise thank you. Celestial Wedding agency, consist of certified wedding and event planners/coordinators on St. Maarten/St. Martin; trained to be detailed oriented we will create an ultimate celebration handling all the work and worry. Tropical Wedding & Honeymoon is the St Maarten Wedding Planner of Choice. Owned and operated by Mrs. Lucie Davis, Tropical Wedding & Honeymoon has been coordinating weddings & honeymoon in paradise for over a decade and is recognized as the most reliable and easy to work with coordinator on the island. Prestige Design Events, located on the beautiful Caribbean island of St Martin / Sint Maarten, is a Wedding, Event and Luxury Bespoke Romance Planning company that aims to provide a unique service which is personal, professional and most importantly, impeccably organized to suit your needs and requirements. Glitter Event Planners is a full service event planning company on beautiful St. Maarten specializing in creative concepts. From event managing to planning and execution, Glitter customizes your event to represent your individuality no matter what the size or budget. We believe in making every event a one-of-a-kind experience for you and your guests.